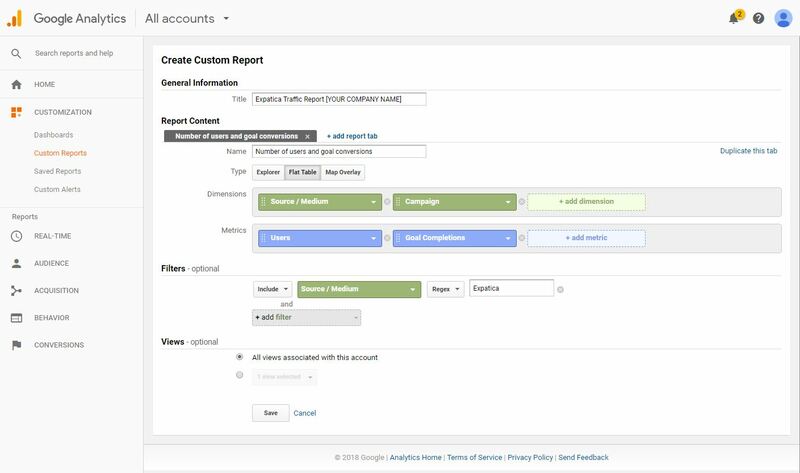 Ensure that your expat marketing efforts are getting the results you need when partnering with Reach Expats by studying Google Analytics custom reports. It’s an alternative to granting Google Analytics access, and it allows you to set up exactly what you’d like to share with Reach Expats. 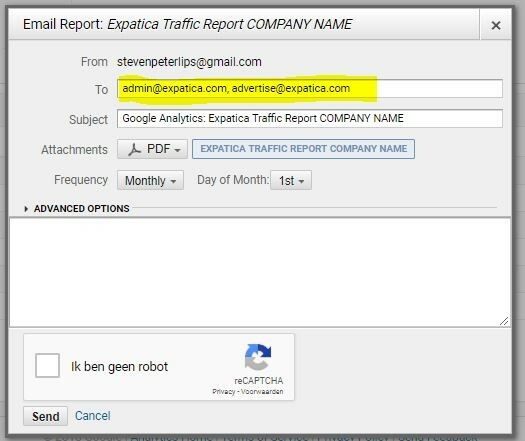 If you would like Reach Expats to set up this report for you – free of charge – please grant us temporary Google Analytics access and let us know that you’d like us to create your custom report. Step 1: Login to your Google Analytics account. Step 2: Choose New Custom Report. Step 3: Enter the report information. *Replace this with your company’s name. Step 4: Set the date of the report. Set this to “Last month” in the report overview page. Step 5: Share the report. Click Send to share the report with Reach Expats. 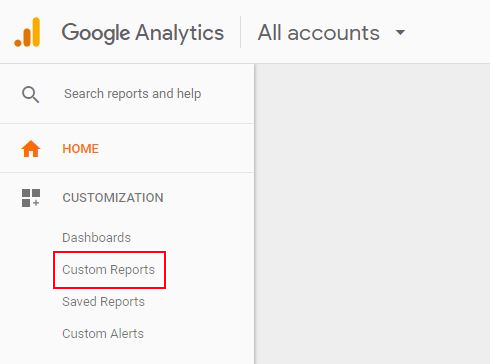 If you have any issues, questions or concerns about creating and sharing Google Analytics custom reports, contact us at advertise@reachexpats.com or give us a call at +31 23 512 8940.